There appears to be an extreme amount of confusion in modern society with regard to news media. The public is swayed back and forth as corporate news companies attempt to manipulate their opinions this way and that. Meanwhile, a good portion of the public has no idea which direction to turn or what source to believe, and in the months following the election of President Trump, this confusion reached an extreme. In past years, the corporate media resembled a somewhat balanced, honest and fair establishment with seemingly sensible perspectives to offer. I say "resembled" mainly because, behind the scenes, this is not what the corporate media has proven to be, according to witnesses and former-employee testimony as well as the observations of numerous independent, professional journalists. And this is primarily where the confusion comes in. Many of us know that corporate news does not have much room left for objectivity. Among all of the large donors, sponsors, and corporate banking establishments that own major shares in these news companies, there are very few that can afford for news to report the absolute, unequivocal truth. After all, the sales of each company depend upon image. So if the conglomerate of companies in which a news organization is included begins reporting information that casts one of the included corporate entities in a negative light, all of the investors may take a hit to their bottom line. Consequently, these corporate news companies play ball with other corporate entities so that everyone stays happy—except for the general public, that is. The major problem in today's society is not simply that our corporate news is compromised. The problem largely resides in us. 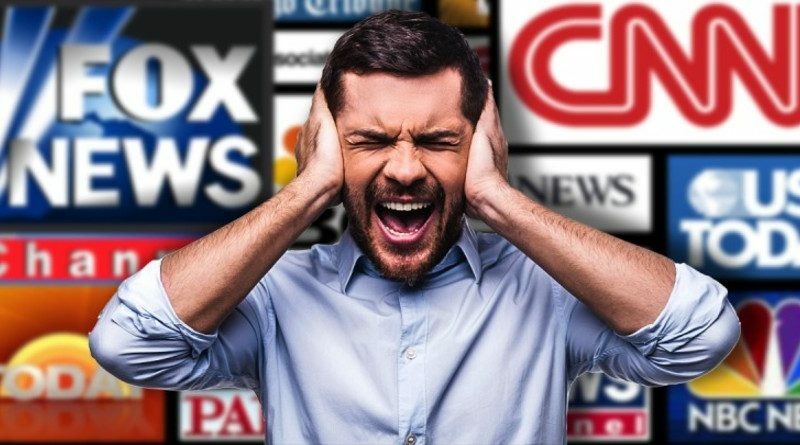 We have become so psychologically dependent and mentally lazy in our desire to gain true information that we have chosen to settle for news without ever questioning or evaluating it. We pick a source based upon their ability to tell us whatana we want to hear, who has the best makeup, the nicest desk, or who has the hippest graphics on the screen as they ramble. Very few of us truly know how to spot accurate and responsible reporting, and this is a dangerous mental place to be. When a news audience is completely dependent upon a corporate news company to dictate reality to them, the news company can say virtually anything they want with confidence and the people will believe it. When this news station orchestrates interviews, has a mock discussion about the topic, and splashes shiny graphs on the screen as they speak, this adds even more appeal to the journalistically uneducated news audience. The fact that most of the corporate media is tied to the exact same financial interests does not help the situation at all. In this situation, audience members may switch from one channel to a completely different one believing that they are viewing two different sources reporting on the same topic. However, in most cases, they could not be more wrong. Thanks to a highly analytical study on information and the interrelationship of the corporate structures of the world, we know exactly how many corporations relate with one another. It turns out that there is so much interrelation between the largest transcontinental corporations, that it is virtually impossible for any one of these corporations to function independently. This includes corporate media. It is due to these numerous distortive factors that we have an unbalanced view of the current President. Donald Trump is not a member of the usual club. In fact, his election was not only a significant upset and surprise to those still working for the international club of corporate elitists, his presidency represents the obsolescence of this Cabal. This is why the Cabal-controlled media devotes so much energy into propagandizing audiences against President Trump. This is not to say that Trump has not caused his share of problems. It is to say that after Trump became a likely candidate for the seat of the White House, the media seemed to do everything it could not only to criticize his every move, but to even misrepresent him and to used his negative image to manipulate the public. This is not the job description of a journalist. It is the role of a propagandist or as the below article terms it, a pseudo-journalist. This issue of pseudo-journalism was seen as a rising problem back in the early 2000s. However, now it appears that instead of improving, as the author states, the problem has ballooned into such an enormous issue that the corporate media is virtually unrecognizable from its previous state, though that state was never truly honest to begin with. ONE REASON I was drawn to my chosen career is its informality. Unlike doctors, lawyers or even jockeys, journalists have no entrance exams, no licenses, no governing board to pass solemn judgment when they transgress. Indeed, it is the constitutional right of every citizen, no matter how ignorant or how depraved, to be a journalist. This wild liberty, this official laxity, is one of journalism's appeals. It is also one of its myths. I've come to realize that the looseness of the journalistic life, the seeming laxity of the newsroom, is an illusion. Yes, there's informality and there's humor, but beneath the surface lies something deadly serious. It is a code. Sometimes the code is not even written down, but it is deeply believed in. And when violated, it is enforced with tribal ferocity. All across America, there are offices that resemble newsrooms, and in those offices there are people who resemble journalists, but they are not engaged in journalism. What they do is not journalism because it does not regard the reader -- or, in the case of broadcasting, the listener or the viewer -- as a master to be served. In this realm of pseudo-journalism, the audience is regarded as something to be manipulated. And when the audience is misled, no one in the pseudo-newsroom ever offers a peep of protest. You may have guessed by now that I'm talking about Fox News. I am, but I am also talking about a broad array of talk shows and Web sites that have taken on the trappings of journalism but, when studied closely, are not journalism at all. Deceptively cloaked as journalists, these marketers of opinion are playing a nasty Halloween prank on the public, and indeed on journalism itself. Last fall, the Los Angeles Times did something rash. Alone among the media that covered the California recall election, we decided to investigate the character of candidate Arnold Schwarzenegger. The recall campaign lasted only two months, so we had to hurry in determining whether, as rumored, Mr. Schwarzenegger had a habit of mistreating women. It turned out that he did. By the time we nailed the story down, the campaign was almost over, and we had a very tough decision to make: whether to publish the findings a mere five days before the election. We decided to do so. Long before we published the story, rumors circulated that we were working on it, and the effort to discredit the newspaper began. On Fox News, Bill O'Reilly's program embarked on a campaign to convince its audience that the Times was an unethical outfit that attacked only Republicans and gave Democrats a free ride. The worst of the fictions originated with a freelance columnist in Los Angeles who claimed to have the inside story on unethical behavior at the Times. Specifically, she wrote, the paper had completed its Schwarzenegger story long before Election Day but held it for two weeks in order to wreak maximum damage. The idea that the newspaper held the story for two weeks was a fabrication. Nothing remotely resembling that ever occurred. But we live in changed times. Never has falsehood in America had such a large megaphone. Instead of being ignored, the author of the column was booked for repeated appearances on Mr. O'Reilly's show, on MSNBC, and even on the generally trustworthy CNN. The tale of the two-week delay earned the columnist not infamy but fame. Millions of Americans heard it and no doubt believed it. And why not? It sounded just like journalism. An interesting study published in October explored public misconceptions about the war in Iraq. One of those misconceptions was that Saddam Hussein's weapons of mass destruction had been found. Another was that links had been proved between Iraq and al-Qaida. A third was that world opinion favored the idea of the United States invading Iraq. The study did not examine what had actually aired on specific media outlets, but the results spoke for themselves. Among people who primarily watched Fox News, 80 percent believed one or more of those myths. That's 25 percentage points higher than the figure for viewers of CNN -- and 57 percentage points higher than that for people who got their news from public broadcasting. How could Fox have left its audience so deeply in the dark? What we're seeing is a difference between journalism and pseudo-journalism, between journalism and propaganda. The former seeks earnestly to serve the public. The latter seeks to manipulate it. It is the netherworld of attack politics that gave us Roger Ailes, the architect of Fox News. Having spent much of his career smearing politicians, he now refers to himself as a journalist, but his bag of tricks remains the same. Over time, I believe, the public will become increasingly aware of the discrepancy between what it's told by pseudo-journalists and what turns out to be the truth. They may even grow weary of the talk-show persona -- the schoolyard bully we all know so well. Recently the Los Angeles Times had the good fortune of winning five Pulitzer Prizes. I'm not sure we're worthy of all that, but we won't turn them down. I wonder how the news of the awards struck the talk-show fans who know the Times only for its ethical outrages. Surely they must have been scratching their heads over that one. It can be common that those within corporate media fail to realize just how distorted the corporate establishment has been. Many of these employees come fresh out of college with their bachelor's in journalism, and the highest ideals for their chosen profession. However, many times, these ideals cause new journalists to ignore problems within their chosen employers, no matter how overt those problems might be. Consequently, even when severe failure is evident, corporate journalists have a difficult time admitting that the corporate news, in many ways, is fundamentally flawed. When we watch the evening news, we are not viewing honest, unbiased reporting, according to studies. We are watching the remains of the corporately approved narrative which the executives of the most powerful corporations involved with news, deem fit for public consumption. If this is true (and it appears to be), we do not have factual news coming from corporate sources. In reality, we have propaganda. We have reality TV portrayed as news. We may have realistic narratives, pseudo-truths, and believable scenarios dictated to us as "news," but many times, what we see is not entirely accurate. However, once again, we cannot blame the corporate world for our own ignorance. It is up to each and every one of us to learn what it means to be our own journalist. It is up to us to learn the difference between propaganda and accurate news reporting. Both of these phenomena have very clear characteristics, and it is easy to see these characteristics if only we are willing to look for them. The truth is very evident once we have eyes to see it and an educated, disciplined, and sharpened mind to recognize it. Do we care about what is true and what is not, or are we only interested in listening to sources that agree with the conclusions we formed before knowing what the truth was? The answer to this question has guided us to our present juncture, and that same answer will determine how our lives progress from this moment forward. Whatever our chosen trajectory might be, our destination is dependent upon us. It is dependent upon how much integrity we possess within ourselves, how long we are willing to spend diligently studying the information we frequent to determine its value, and how aggressively we pursue greater states of knowledge and consciousness of self. It also relies upon our ability to forgo a conclusion until we have all of the information necessary to form a fair and responsible one. Our news media may be distorted, yes, but that does not at all mean that our minds have to match this distortion. Our government might be full of criminals who have been at their corrupt games for decades, but this does not mean that we have to be equally corrupt in our thought process. We have every ability to learn, to discern, and to educate ourselves so that disinformation, propaganda, and psychological manipulation have absolutely no power to control us any longer. This is my hope and my expectation for the weeks and months to come. What comes after that is completely up to our own personal choices, but know this: that as we make those choices, we will experience the results of our collective choice together as a planet. Our future depends upon our ability to make that choice well.